Pretty much any rose bush will make a rose hip if you refrain from pruning the flowering stems so why do I prefer rugosa roses and their hips? I’m so glad you asked! Rugosa roses are a main feature of our medicinal and edible herb garden. To learn more about planting your own medicinal herb garden, be sure to check out our book, The Do It Yourself Homestead . 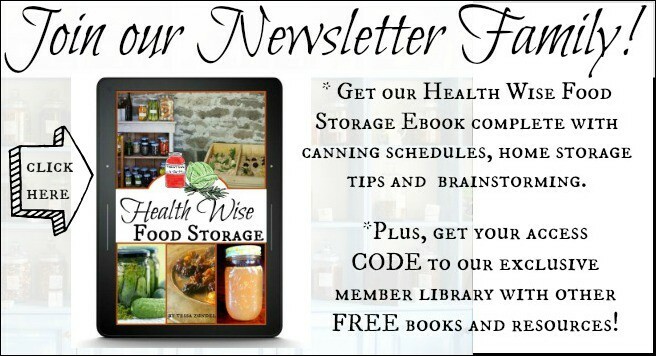 With over 400 pages of homesteading information, DIYs and tips on a variety of subjects presented in four different levels of experience, you’re bound to find something useful! 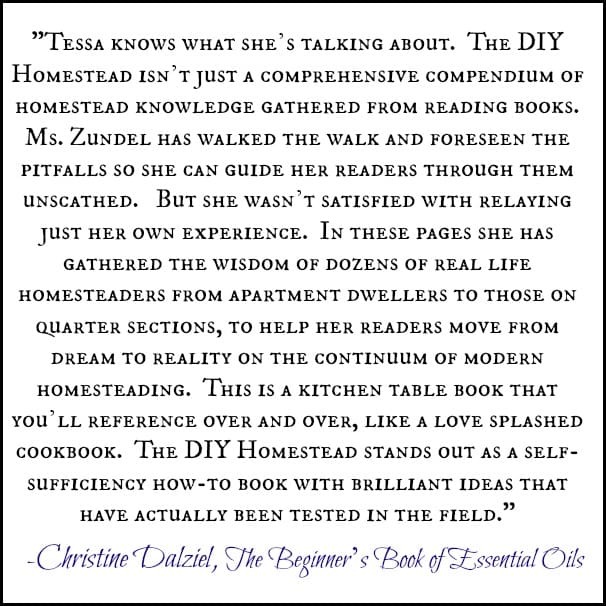 If you’d like a free sample from our Homestead Garden section, simply email me at Tessa@homesteadlady.com and I’ll get you set up. Well, let me clarify – I hate growing roses. A decorative rose (grown for cutting to put into floral arrangements) is like a pretty woman; high maintenance and bossy in the garden. Now before you prize rose growers start jumping all over me, let me just say that I love rose blooms. I just don’t want to have to grow roses. I’m too busy and too practical to grow a rose unless it’s making my life better in some way. That’s why I love rugosa roses, or rosa rugosa. What are my favorite thing about rugosa roses? Rugosa roses grow like weeds. Really. We originally planted ours because they’ll get six feet tall and as wide, forming a living fence to keep out the unruly teenage boys that walk our street on the way home from school. There was no way I was going to kiss the feet of my city in order to get a fence permit and I certainly couldn’t afford to pay for a fence anyway. As long as I keep these babies under control with heavy pruning, then I’ll have a lovely, fragrant fence. The thorns will keep careless youngsters from trampling my herb garden, too. Rugosa roses aren’t too picky about soil, either. I’ve grown mine in dark, brown soil and nasty clay. They do benefit from balanced nutrition and will yellow if they’re starved altogether. However, several inches of rich compost once or twice a year should do the trick. 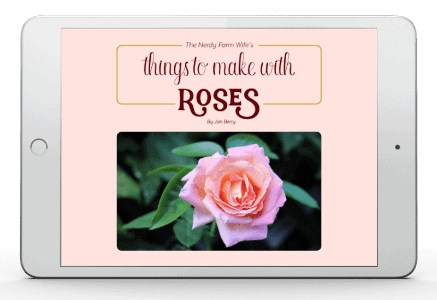 You can also use traditional rose food if you really feel your plant is struggling. I favor compost as plant food simply because I have a barn full of straw and poop that needs to be put to use. Rugosa roses grow in nearly any climate. 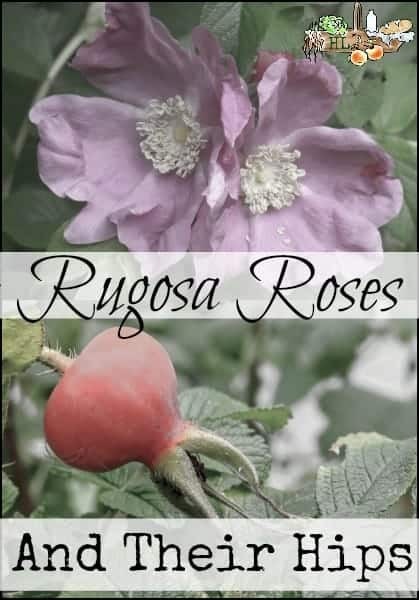 I bought my rugosa roses from Raintree Nursery, where I buy a lot of my nursery stock and you can follow their link in order to read up on how to grow them. 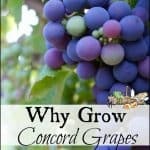 Bottom line, though, they’ll pretty much grow in any zone (usually rated down to zone 2 or 3), in any soil and in any amount of light. You usually don’t need to fertilize them, either. In fact, over fertilizing them can cause them to stress out. Do be sure to mulch them and keep them evenly moist – something I recommend for nearly every plant except desert-flourishing ones. The plants will produce more blossoms, and therefore more hips in direct sun (6-8 hours a day), but they will flower in part shade. In the hottest climates, you will probably want to give them a bit of afternoon shade. Rugosa roses are easy to maintain. You DO need to PRUNE rugosa roses heavily, so don’t plant them if you’re not going to do that. USE GLOVES for pruning and harvest! Do not try to harvest these rugosa rose hips without the help of a good, thick pair of gloves because rugosa rose thorns are thin, amazingly sharp and they cover (yes, cover) the stems of the plant. Be aware that rugosa roses self-propagate prolifically with underground runners. If you don’t want them doing that, take a sharp shovel and cut ambitious runners at least two feet from the outside perimeter of the plant. Wherever you see new rugosa runners popping out of the soil cut them off several inches under the soil line. That won’t prevent the rugosa from sending out more runners, but the plants are easily controlled using this method of runner decapitation. Again, watch for thorns as you clean up. Reminder to self: We do not grumble that rose bushes have thorns but are grateful that thorn bushes have roses. And hips. FYI, if you’re looking to add some other red/pink flowers to your garden to mix with rugosas, Joybilee Farm has a great post on such flowers with the added bonus that they attract hummingbirds! Rugosa roses smell and taste divine. The petals of the rugosas range from dark pink to light pink to white as there are a few different cultivars you can choose from. All of them are very fragrant and will attract pollinators and neighborhood admirers alike. Use the petals to make Rose Petal Ice Cream – click this link. You can also learn to make rose sugar with these petals (another tip that’s outline in The Do It Yourself Homestead ). You can also use those lovely petals in special beauty recipes like this one from Nitty Gritty Life – Rose Facial Mask. Rugosa Roses produce large, delicious hips. The best thing these rugosa roses do is produce the most large and luscious hips you’ve ever seen on a rose. Plus, the rugosa rose hips are very sweet. The hips ripen at the end of fall and there are subtle differences amongst the varieties. Some hips are bright red when ready to harvest and some are more orange. You’ll get used to how yours look when ripe. You can also feel them for ripeness. When they’re soft, they’re done. Rugosa rose fall foliage is lovely to behold as well, and once the leaves start turning, the hips should be about ready. The hips typically ripen in bunches, and I usually just pull of a bunch in one handful. So far I’ve harvested two 5-gallon bucketfuls off of about ten plants (2 yrs old) and I’m still not done. I dry them on open air racks for the most part because my dehydrator is in use almost 24/7 at this time of year. The bulk of my harvest gets fed to my goats, especially throughout the winter. However, I also save some for the humans and make tea or grind them and add them to our herbal vitamin. To make a delectable tea, click here. I still haven’t tried making jelly, but that’s the traditional thing to do with rose hips. 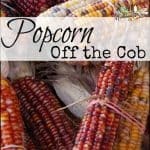 Here’s a recipe from Fat of the Land – click here to read that. If you’re handy in the kitchen, here’s a recipe for Rose Garden Tea Jam. 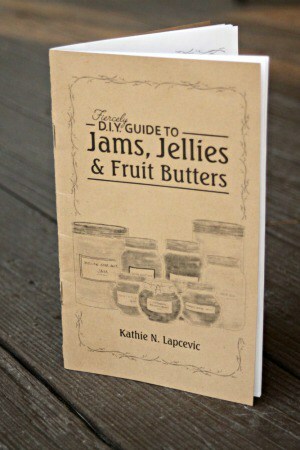 For great general jams and jellies information, including fantastic recipes, be sure to check out Homespun Seasonal Living’s book below. The Herbal Academy has a great post on the how rose hips are Super Food!! Just click here to read that. 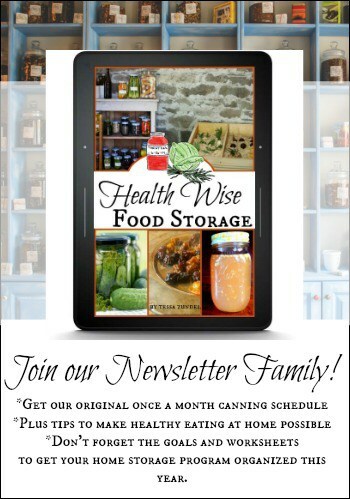 To learn more about the medicinal properties of many plants, please visit The Herbal Academy. There are a lot of different levels to choose from with their online courses. Need help foraging for hips? If you aren’t growing your own rugosa roses and need some help learning how to forage for them, be sure to check out our post with several experts’ tips on foraging successfully and ethically – click here. I had a great, great aunt Bertha (whom everyone called Bert) who could be found harvesting rose hips along the Bay area’s bountiful hillsides back in the day. I think of her a lot when I’m out there working my roses, though I didn’t know her personally. But I’ve loved hearing stories about her and her no nonsense ways. It’s good to know I come from hardy gardening stock. All the same, where are my gloves? I need to beat the snow and get the rest of my rose hips! Just an FYI, if you really start to see the benefit of healing plants in the garden, be sure to visit this article from Nitty Gritty Mama on other medicinal trees and shrubs for your landscaping. Roses are on this list but so are nine other suggestions – a must read! Love this! When you say they will grow “in any amount of light,” would that include the north side of a building? We have an apartment complex on one side, with just a very low fence. I have gradually been planting all our thorny plants over there and wondered if rugosa could work there. I always think of roses as needing lots of sunshine, but that would be a much better place for it than our sunnier spots. Rose hip jam made with raw honey is quite yummy, btw! Thanks for this post. Yes, the will most likely grow just fine. They probably won’t produce quite as many blooms or hips but they grow and flower pretty much anywhere. And if protection is what you’re looking for, yikes are they sharp and easy to get tangled up in! I love rugosa roses, and Therese Bugnet is my favorite of them all. I live in zone 3 (it’s currently about 15 degrees below zero outside) and they are one of the few flowering plants that I like and will grow here. I’m afraid I never remember to harvest the hips though. Right?! They’re so gratifying for very, very little work. Don’t worry about the hips – you’re just feeding the birds all winter and that’s a good thing! One thing to be aware of is that rugosa rose is considered an invasive species in some areas, so it’s better to forage for it where it is already growing, than to plant more of it. I enjoyed your post – I love the big plump hips too, they are delicious, so I understand the temptation to plant it. Visiting from Simple Lives Thursday today… glad to find you! LOVE that picture, Kris! What a neat site – I was happy to like your page and add you to my interests list. Beautiful! I love wild roses, it looks like our new house has some of them, well we will see for sure once the snow melts. Are your pink ones as tall as your white ones? I was looking at Raintree and only one of the white ones says it’ll get 6 feet. The pinks are listed at 4 or 5 ft tall. I’m looking for a pink rugosa that will get 6 ft tall and produce abundant hips. It’s proving more difficult than I expected. The Rubra grows the same as the Alba, which gets to six feet – hope that helps! https://www.raintreenursery.com/Rosa-rugosa-Rubra.html I love Raintree’s selection and service – I order a lot from them. I never knew what a rose hip was until I read this. Thanks so much for joining us at Oil me up Wednesdays. 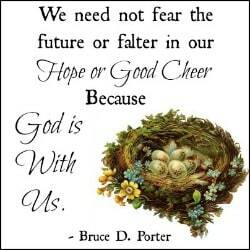 I do hope you will join us again tomorrow. Happy to, Marlene! My dad lives in Canada (in Vancouver) and it is perfect rugosa weather – so lovely! I would spend a season or two watching your bushes to see what they’re naturally inclined to do. I planted about 20 starts (two different varieties) when we planted our hedge and there are a few that just do their own thing. One, in particular, is very low growing so I haven’t pruned it at all – its just politely humming along. I have one other of the exact same variety that is a big, fat bully bush. Rugosas can be pruned to shape, so, if you have a bush that just needs some sculpting, go ahead and do that in the spring before it flowers. I’m talking just wayward branches here and there. 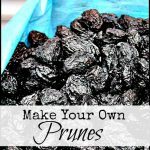 To keep them smaller, prune to the ground every fall, after you harvest the hips. You really can’t kill them, don’t worry. If, at some point, you lose a bush you can take a sharp shovel and cut off any of the shoots from one of your larger bushes and transplant it – fall or spring is fine for this (whenever the ground is workable). To prevent your bushes from spreading, cut off the side shoots every year. If you look down at the soil, at the base of a bush, you should see somewhere around the bush, coming out of the ground, new leaves on a small stem. That’s a runner and the reason why rugosas make great hedge roses. BUT, if you don’t want them to do that or you want them to do it less, just dig them up. One quick slice with the shovel and then pop the baby out of the ground. Always, always – you’ve probably already figured this out – wear gloves while pruning rugosas. More questions? Was I still too vague? I also hate growing roses, but I have a couple bushes that seem to just grow themselves now! I’ve never tried them myself, the desert turtles love them so I tend to feed it to them. I’ll have to give them a try sometime! Thanks for the info. the scent of the rugosa (rubra) heals from top to bottom and inside out. that said, i just moved into a little hoise in downeast Maine and was thrilled yo see little rosa rugosa rose bushes popping up this spring in the two acre field behind my house. it’s past mid June (granted, after a very hard winter), however, and no roses. do immature rosa rugosas bloom late? do severe winters delay blooming? thank you for letting me know. How lovely to have a field behind your home, especially one that has rugosas! Yes, severe winters can cause damage, especially to young plants, and sometimes actually kill them. If you have live bushes but no roses, fear not – they’ll be back blooming by next season if you don’t see them this year. Is it possible that field was grazed by an animal – they do love rugosas! The good thing, though, is that you know they’ll grow for you where you are, maybe you could plant some on your own property. I buy mine from Raintree Nursery (where they aren’t too pricey) but I bet you could find someone local to you that has some you could take cuttings from – they grow very well from divisions. A neighbor told me that I should constantly pick the rose hips off to keep the blooms coming. That doesn’t seem correct if I need the hips late in the year to pick for tea, etc. That can be so frustrating, Anne! There are several reasons that your bush might be throwing its hips before they’re ripe and they all have to do with stress on the plant. The most common is over fertilizing, but both heat and water stress can be a cause, as well. Keeping you roses moist but not soaking wet, especially during the heat of summer can be helpful and don’t overhead water, if you can help it. If you must use a sprinkler, be sure to do it in the evening, after the sun has set or the very early morning so that the foliage will be dry before the intense sun of the day. Keep the ground around your roses heavily mulched to retain moisture evenly over the soil. The other cause might be heat – is there a source of radiant heat nearby, like a wall or cement walk? If the area is simply too hot, you may need to relocate a few rugosas to a cooler location so they can produce hips for you. I imagine the blooms are still performing? If so, you can leave some bushes where they are and just move a couple for hip production. Ah, thanks, Jes! I love the redesign of your site – I could get lost on their for hours. Sometimes I visit your blog when I’m supposed to be doing hard things like figuring out expenses or keyword searching. Its an oasis. If I had to guess, Carol, I think they’ll be ok. Most rugosas can grow in zone 8, some even in zone 9, so they can take some heat. Your heat will be really dry and intense in the summer time so you might get some crispy leaves and maybe some sunburned hips. However, I bet you they’ll grow just fine. While they’re young, you may want to provide them with some shade in the hottest part of the day in July and August (is that when your summer is the hottest?). Make sure you keep them watered and give them a little compost. Will you be planting them in the ground, I assume? I always say, give it a try when it comes to planting something! Raintree Nursery carries great rugosas for under ten dollars. Your local nursery may carry them, too. If you plant some, let me know how they do! We have tons of Rosa rugosa in Alaska; I picked petals for oil and am looking forward to picking hips after the first frost. How do you process your petals, Davette? I’d love to know! We use ours in ice cream sometimes, but that’s the most I’ve ever done with them. I want to learn more, though! I wilt the petals and infuse them in a light oil, like safflower, sunflower, or grapeseed. I put that in a Mason jar in my crock pot with water on Low. I like to infuse it a few times with more petals since the scent is so delicate. I haven’t tried yet, but you can also candy the petals. You use a small, new, paint brush (you can find them with the cake and candy decorating supplies) and coat them with egg whites, then extra fine sugar. Let them dry overnight and you can use them to decorate cakes. There are several varieties to choose from, too! I hope they work out for you – let me know if you plant some. Can rugosa rose plants be started from clippings? I have one plant I purchased about 4 years ago. I have never found stringers coming up around the plant, however i do have namy stems coming up from the original plant. I was at a winery 4 years ago and the fragrance when I opened the car door was so beautiful I just had to get a plant. I’m so glad you asked, Marlene, because I didn’t know the answer. We both learned something! Apparently you can take softwood cuttings of rugosas and expect them to root. I guess that’s no surprise since they are such vigorous growers. Here’s an excellent tutorial on that process. At the end of the article, you’ll see a list of plants that root well from cuttings and rugosas are on it! The author propagates plants for a nursery and has lots of experience. Let me know how it turns out, if you try it! I discovered that we have rosa acicularus, aka Arctic Rose, and the rose hips are larger. Can use them for everything the same. Bigger hips?! How wonderful! I’ll have to look out for those Arctic roses – thank you for sharing. Is rosa rugosa found in shampoo suitable for babies? I don’t know, Angie – you can check the back of the bottle. I wouldn’t be surprised since rugosas have such a nice fragrance. Thks for your reply. The well known aisan top team shampoo containing rugosa works well for adults hair growth, wondering if it will help for babies scanty hair? Coconut oil and olive oil have both been known to increase hair growth in some people. I’m not an herbalist so you might want to consult with a professional. Thanks for stopping by, Faith! All those came from Raintree nursery a few years ago. I went to order more this year and they didn’t have them – I was so sad! Do a google search to see if you can find that color. All rugosas are wonderful, though. Not all pretty girls are high maintenance. That’s pretty-ist. There a few, who are some of the most practical and hardy ladies I know.